Most post offices in the United States stay open late on April 15. The online voter registration portal for voters wishing to weigh in on Brexit crashed due to traffic two hours before the deadline. Our MIPS reporting customer support channels reach their peak traffic between on March 24, a week before the submission deadline. It is clearly human nature to procrastinate, so if you've reached December without a MIPS reporting plan, you're certainly not alone. Now that you find yourself under the wire to report, efficiency is key. MIPS can be more easily conquered if you understand the associated scoring mechanics. Unfortunately, MIPS scoring is complicated and contextual, requiring a level of expertise that can only be acquired through hours of policy-combing to cut through the noise and get to the essentials. 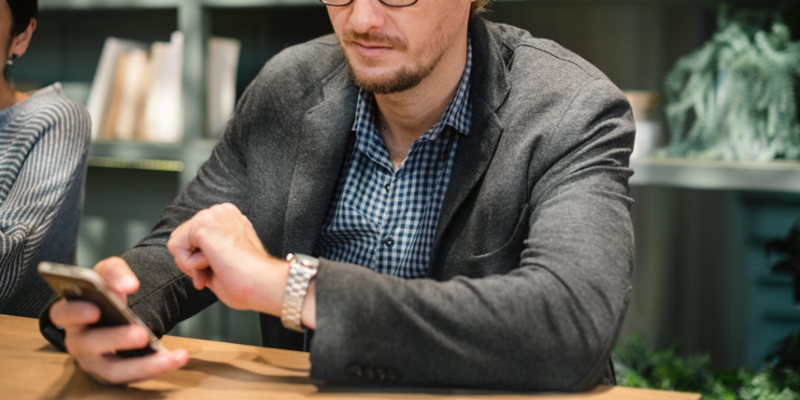 Small practices often do not have the time to prioritize disambiguating overly complex CMS policies, so this article will break down the quickest path to late-year penalty avoidance. • Report one patient that meets the quality action criteria for six quality measures. • Use a tool like MIPSPRO Basic that allows you to filter measures by specialty or commonly billed codes to simplify measure selection. • Submit at the TIN-level (as a group) if you have 2+ clinicians. 1. Verify your eligibility using the participation status look-up tool. This tool spits out a full eligibility report for any input NPI, allowing you to see if you have to report MIPS this year, which TINs you are (and are not) eligible to report under and whether or not that TIN qualifies as a small practice. 2. Identify six quality measures that apply to at least one patient your practice. An easy way to do this is to find a solution that supports both group reporting and filtering measures by specialty / commonly used codes without unneeded features, like MIPSPRO Basic. 3. If you have two or more clinicians under your TIN, it's a good idea to report as a group. This will apply the score you achieve to all clinicians in the group without any extra work (when aiming for penalty avoidance; more work would be required to maximize your MIPS score). 4. Report one patient visit where you performed the quality action for each selected measure. For example, say you are reporting Measure #130: Documentation of Current Medications on the Medical Record. The quality action described in this measure requires that the clinician made sure the patient's current medication list was up-to-date on that date of service, and eligible patients to report this measure for are 18 or older, with specified CPT or HCPCS codes which can be found in the measure description. To complete this measure for the purposes of avoiding the penalty, simply find one date of service for patient where the clinician ensured the list of medications documented. The recommended quality action can be found in the measure description for each measure under the "numerator" section. Once you've met the quality action at least once for six different measures, and you'll be set to avoid the penalty! 5. 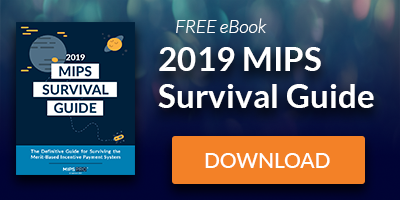 You've now achieved a MIPS final score of at least 17.5%, enough to avoid the 5% penalty in 2020. The performance threshold for the 2018 performance year is achieving at least 15%. This means achieving a score of 15% or higher will guarantee penalty avoidance for the 2020 payment year. If you follow the steps described above 15% is a worst case scenario score, you will in all likelihood have a higher final score. Does this plan seem too easy? Here's the math to prove it will work! We start with the equation for the MIPS Final Score as a small practice. To calculate the minimum possible Quality score for a small practice, I'm assuming that no outcome measure was selected as one of the six measures. If we then take insert this worst-case scenario Quality Score into the final score equation, we get a final score of at least 17.5%. In all likelihood, you will be awarded some points for Cost or not be eligible for Cost and/or Promoting Interoperability, which will result in a higher final score. Once practices get larger than 15 clinicians, there are too many if/then scenarios to wrap up a one-size-fits all, last-minute reporting strategy. A lot will depend on category eligibility and improvement activities you may have participated in during the year. If you need further help coming up with an efficient plan to report and you're from a practice that doesn't qualify as a small practice, I'd recommend scheduling a discussion with one of our MIPS experts.